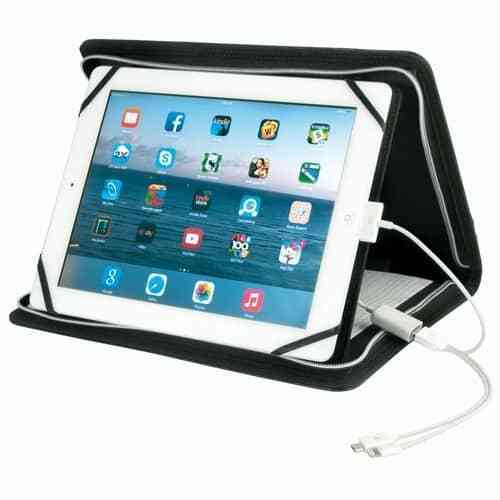 Protect your tablet and charge it at the same time! The Juno Powerbank Tablet Holder has a textured leather look tablet holder with light grey stitching and silver zip. 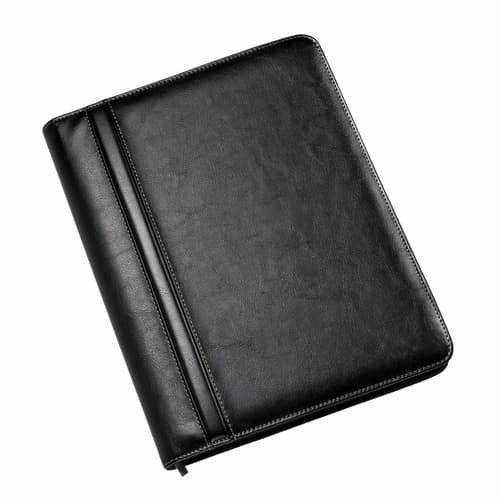 Its interior showcases a lined notepad, pen loop, and a 7-8 inch or 9-10 inch space to hold your tablet with powerbank cables on reverse side and a built in 4000mAh battery. 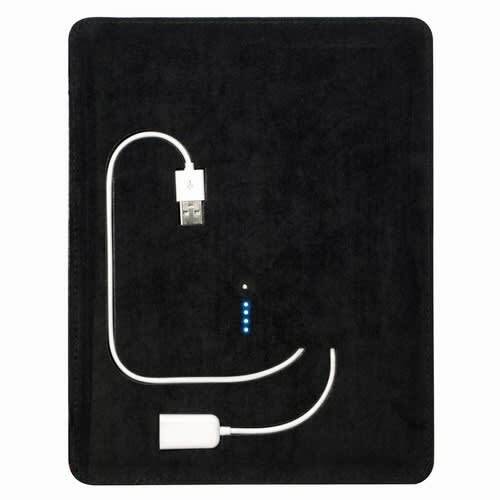 Suitable for iPad, iPad Mini, Samsung. The Juno is supplied in white box.